I haven't worn this jumper in ages! I also have it in black but I appear to have lost that, oops. I think they were around £7 each which is so cheap for a good quality knit! I paired it with my AA disco pants (if you follow me on instagram ((ashllyd)), you'll know I live in them) and tucked the jumper in at the front to add a little more shape and to show off the belt. I think this is an outfit I can wear anywhere as it's the cross between casual/smart. 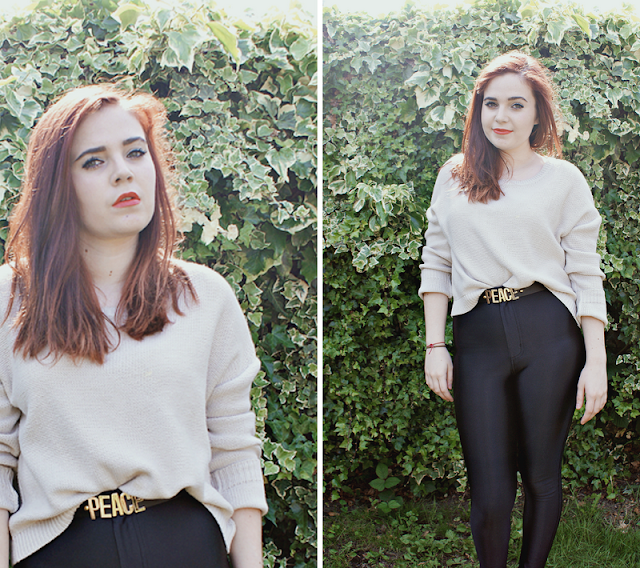 The jumper looks really good with the disco pants, a nice balance of baggy and tight. 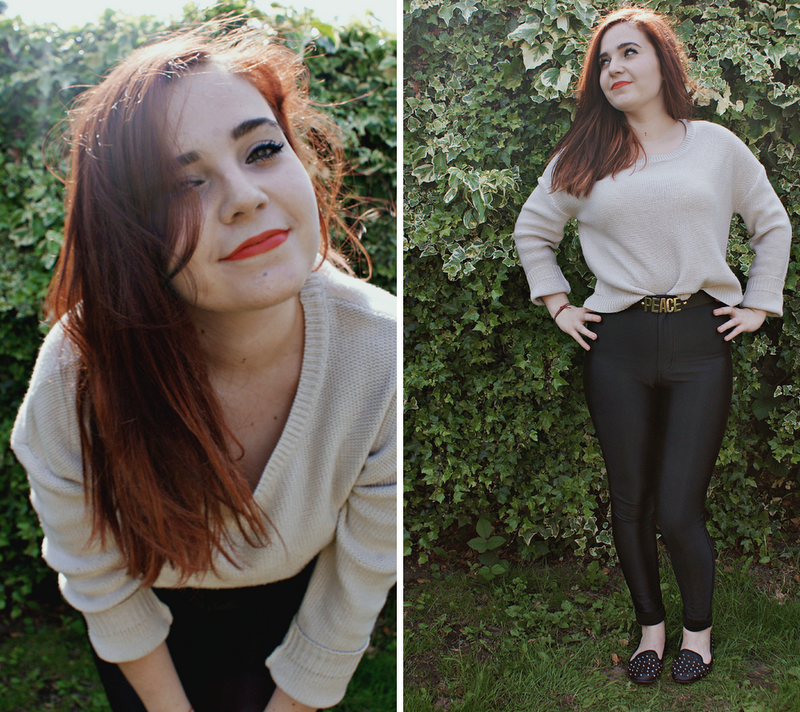 Are disco pants comfortable? I feel like you wouldn't be able to move much in them! They have cheap alternatives on daisystreet.co.uk! Aw you look amazing! In love with my disco pants too, literally haven't taken them off since they arrived, oops! Haha same. They go with everything! Love the jumper with those disco pants. Great look!